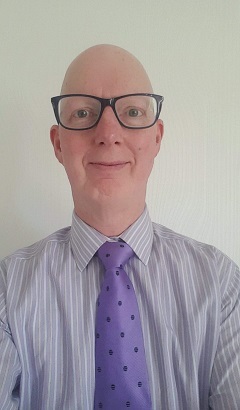 Vince Gorman, Managing Director at Chameleon Colour Services (UK) Limited, worked as an Applications Engineer/ Specialist for Minolta and Konica Minolta for 16 years. Many customers from all over the UK and Ireland and parts of the European mainland already know him personally and have been supported and/or trained directly by him. Due to changes in their business in 2011, Konica Minolta modified their approach to delivering support and service within the UK. As a result there was the opportunity to start a colour consultancy business offering dedicated technical support and training. This company was originally called Chameleon Colour Services, their business approach is fully supported by Konica Minolta who have confirmed their intention to make use of their services, where applicable, for training and supporting existing and future customers. Since April 1st 2013 the company has been registered both as a limited company and also for VAT, this helps give more flexibility in offering the best solution for your requirements. With over thirty years experience in colour measurement covering a wide range of industrial and other colour applications, Chameleon Colour Services is able to offer detailed training on best practice and ongoing use of colour measurement as an effective tool to improve productivity and profitability. Vince's extensive knowledge of previous and existing instruments and software will particularly be of benefit for Konica Minolta clients, however many non Konica Minolta users can benefit too. Chameleon Colour Services continues to support customers with the same level of expertise and attention that many are already familiar with. In addition, we offer direct support to customers who might require specialist or more tailored support and training to address their specific needs. Being an independent company also means that there is more flexibility in the solutions that can be offered. Chameleon Colour Services offers a support subscription service where, for a relatively modest fee, clients have access to remote support via a Web based, secure and encrypted support software, email and telephone. The remote support has proven to work very well with current customers when it has been required. It is much more time and cost effective in resolving or identifying issues or queries that can arise from the use of your software. In addition customers with a support agreement will also be entitled to a reduced rate for any on-site visits that may be required. Konica Minolta customers can still be offered support via their current staff, but depending on the query and as there are no dedicated technical staff in the UK, your problem or issue may still be passed on to Chameleon Colour Services to deal with. We feel that we are better placed to offer the support when it is needed rather than any potential delay in going via Konica Minolta before it may passed on. Chameleon Colour Services (UK) Limited is based in Kettering, Northamptonshire and is not linked to, or affiliated with, any other company with a similar name or otherwise.